Laugh. Breathe. Freak out. Repeat. That’s the general audience reaction “The Cabin in the Woods” director and co-writer Drew Goddard was going for when making the singularly unique horror film, the plot details of which we will keep close to the vest. Suffice to say that first-time helmer Goddard – a prolific TV scribe who’s contributed to “Lost,” “Alias,” “Angel” “Buffy the Vampire Slayer” and wrote the film “Cloverfield” – and his co-writer Joss Whedon have taken a seemingly time-worn genre and blown it to very delightful smithereens. The premise of this film is so unique, a deconstruction of the horror genre that really hadn't been done before. When did this idea first hit you? The kernel of it was Joss's idea and we were just brainstorming and he had the idea, the upstairs and downstairs of it early. Then as soon as I heard it I was like, 'Oh, yeah, that sounds great.' Then I had that reaction, like, 'Oh, this is like nothing that I've ever heard before. This is a chance to do something new and different.' We just love horror movies. At the end of the day this whole movie is just a love letter to genre and we just set out to do that. This long-awaited Joss Whedon-produced horror flick finally gets its first official trailer. You straddle a fine line – It's never campy, but there are plenty of funny sequences and dialog, and plenty of scenes of genuine horror. How hard was it nailing that tone? It's the hardest part of the job, absolutely, just keeping that tone. Not that this is new. We had this with 'Buffy.' We had this with 'Angel.' This is very much the world that we live in. It's very much the world I live in with everything that I do. Because I like crossing genres so much, that's always a problem, that when you cross genres that people aren't quite going to get it, at least at first glance. Five degrees this way we're a comedy and five degrees that way we're exploitation. It's hard to thread that needle, but the nice part about it is that as you find people, they get it. It just takes time to communicate with everyone. You have to make sure that everyone is onboard, and once you get your team right it's on its own momentum. What were the things that you did to keep this from being a secret handshake between you and horror film fans to being something that a wide audience could appreciate? It was very important to me to not be so inside because I knew, like, 'Look, if you like horror movies we've got something for you, no matter where you are on the spectrum.' We can speak the ultra-literate side, but I didn't want it to feel like this was an exclusionary party. I wanted it to feel like you'd never seen a horror movie before you were going to be able to follow this story. It's not about horror movies, exactly. We certainly reference them. It's certainly in there, but it all comes out of the basics, just telling the story that you're trying to tell and not worry about being too meta, just let that stuff happen naturally. You just make sure that you're telling a story with a distinct beginning, middle and end that can stand on its own. In terms of the casting it seems like with a portion of the cast you wanted new faces, while familiar actors were crucial to other roles. Yeah. It was sort of the adults and the kids. With the adults we just sort of had our wish list and we wrote the parts for Richard Jenkins and Bradley Whitford. I actually said in a meeting, 'If Bradley doesn't do this movie I don't want to do this movie,' because I didn't know who else we could cast and I didn't have a backup plan. Luckily, they both said yes. We sent the script to Richard the week that he got nominated for an Oscar for 'The Visitor,' and we were like, 'I'm not sure if these two things go together...' But God bless him, we sent it to him and the next day he said yes. He just got it. He just understood what we were trying to do and it really energized the whole project with both of them. With the kids, we just really had to roll up our sleeves and see every actor in town. I saw hundreds of actors for all of these parts. I mean, Fran [Kranz] we knew from 'Dollhouse.' That was the only one that we sort of had an idea on, but we still saw lots of actors for that just to be sure to find the right fit because casting is so much alchemy. We sort of knew Fran. Fran we signed very early on, but everyone else came in on auditions and in some of the cases we were still casting up until the day before shooting. It was hard to find these actors. Chris Hemsworth's career has really taken off since you've made this. What were your impressions of him when you made this film and could you see a big movie star in the making? Absolutely. Like, we knew. We could feel it. I could feel it as it was happening, like, 'Oh, this guy is going to go into the stratosphere,' and I was just thankful that we got him before that happened because it felt inevitable, like you could just tell. He's got that thing. This story is very much in line with the mythic but intimate sensibility of the Whedonverse, and its theme of an original evil. I think there's something that I've always loved: the mythological with the personal, if that makes sense. That's what Joss does better than anyone, where you understand that a girl is a vampire slayer, but she's a girl first. And yet she's dealing with these bigger themes and these bigger issues. I think that's something that I just respond to. I think it comes down to the mythology and storytelling and when you're dealing with these things, the dark and the light, it all comes down to the dark and the light however we choose to phrase those for whatever project. I think that might be why we keep coming back to it. Both you and Joss prefer to work with actual creatures rather than CGI. How much input did you have into the design of the particular creatures you had, and how much of them were made versus CGI? The rule was if you can do it practically we'd do it practical. I just like real instead of CG. So, that was always the rule and we saved visual FX simply for things that we couldn't do, which is just sort of an aesthetic choice, but that's one of the fun parts of being a director, that I get to do all of that. I get to pick my artists and work with them and oversee what I thought was the best toy box that a kid could ask for. 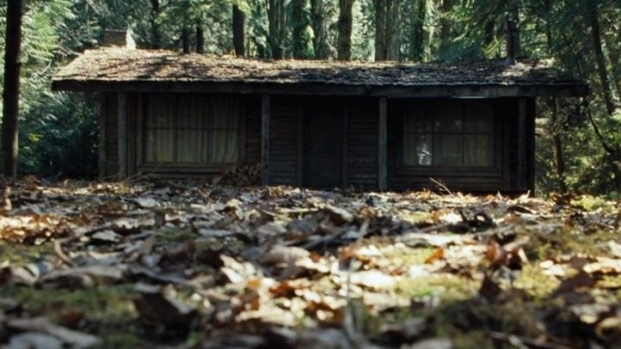 There may never have been more movie blood in a film than in 'Cabin in the Woods.' How many gallons of blood did you use in this film? It's a lot. I don't know. I wanted to beat [Stanley] Kubrick's record on 'The Shinning,' but the problem was that Kubrick shot so many takes of that elevator that I couldn't beat it. I had to look at the number, and I don't remember what it was, but it was some ungodly number because he just kept resetting it and they would do it for weeks and weeks. So he's got me beat. It's a lot. I need to get the exact number, but the answer is that it's a sh**load of blood. Do you want to work more in the horror genre or have you said most of what you want to say? Look, I love the genre. It's always project to project. I certainly felt like I got to say what I needed to say about this movie with this movie. Will I be back to the horror genre? Probably.